When attracting birds to the garden, we often think of setting out some bird feeders and maybe a bird bath. But like us, wild birds need a variety of things to thrive, and especially in inclement weather. As we lose many of our natural lands to development, supporting local and migrating birds through all of the seasons becomes ever more important. 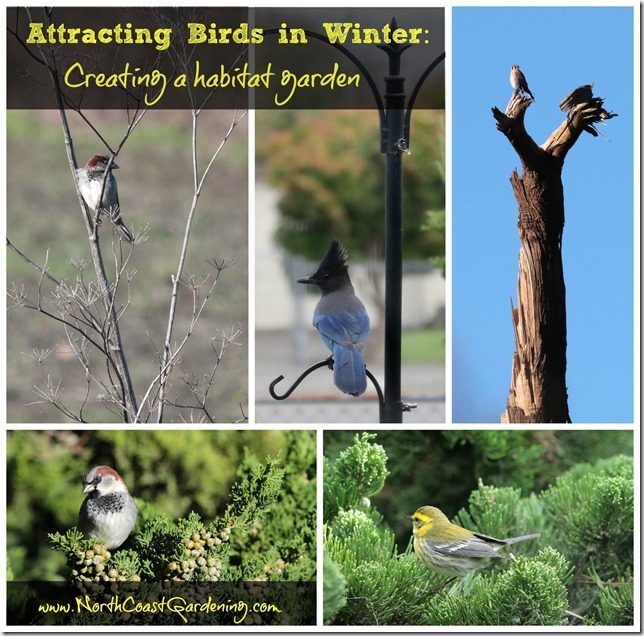 Today, we talk with Kim Eierman about how gardeners can attract and help out wild birds in winter. Eierman is an incredibly knowledgeable writer (catch her over at her blog, EcoBeneficial) and speaker who teaches at the Brooklyn Botanic Garden, The New York Botanical Garden, The Native Plant Center, and Rutgers Home Gardeners School – and she focuses on the many ways gardeners can benefit the environment by providing for wildlife. On to our interview! Gen: I live in a rainy, coastal Pacific Northwest climate where we don’t get snow. What do you think is the best way for people in my climate to attract birds to the garden and help them through the winter? Kim: First, you must include the essential elements in your landscape that birds must have to survive. I call these elements “The Big 4” – food, water, cover and nesting sites. In winter, the first 3 apply. Keep in mind that not all birds eat the same foods. Birds can be classified by diet as gramnivores (seed-eaters), frugivores (fruit-eaters), insectivores (insect-eaters), carnivores (flesh-eaters), nectivores (nectar-eaters) and ominvores (varied diet). You goal is to create an ecosystem that provides all of these food sources directly or indirectly. First, emphasize regional native plants that birds have evolved with – including native trees, shrubs, perennials, grasses and sedges. If you are not familiar with your regional native plants, the plant database at www.calflora.org is a great resource. Always follow the principle of putting the right plant in the right place for greatest success. And remember, native plants don’t grow in isolation – they are part of plant communities that you can emulate in your garden. Next, keep native perennials, grasses and sedges standing through winter – many, like Rudbeckia californica (California coneflower) or any native goldenrods (Solidago species), will be much needed seed sources in the fall and winter. Many native trees produce seeds (ex: conifers), nuts (ex: black walnut) or acorns (ex: oaks), that will still be around as a food source in the cold days of winter. For overwintering birds that prefer fruit, it’s a bit harder. The tastiest fruit is rapidly eaten by birds long before winter sets in. Mother Nature has provided us with one helpful strategy – plants that have fruit which is not particularly tasty, or that becomes more palatable after freeze and thaw cycles. Include some of these plants in your garden, such as Myrica californica (Pacific wax myrtle), Juniperus communis (common juniper) and Rosa nutkana (Nootka rose). Make sure that your plant choices are suitable for your site. 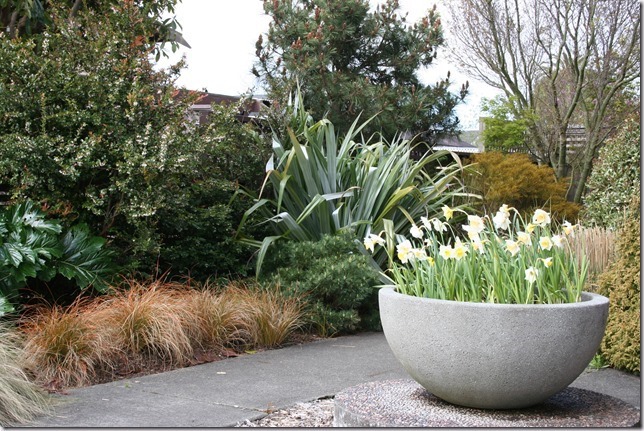 The one element that we most often forget in our gardens is a fresh water source. If you have a lake, stream, pond, or river in your landscape, you are ahead of the game. But keep in mind that these freshwater sources can freeze over in the winter. Whether you have naturally occurring water, or not, I encourage you to include a heated birdbath in your landscape in the winter. You will be amazed by the amount of bird (and other) activity you see. I always locate one heated birdbath next to a stone wall so little critters like squirrels and chipmunks have a chance for a fresh drink, too. Keep birdbaths clean throughout the seasons. Change the water daily and if you see algae building up or discoloration of the water, it’s time for a thorough cleaning. Protection from the elements, and from predators, is particularly important for birds in the winter. This means having evergreens in your landscape, including large conifers that can be critical safe havens for birds. If suitable for your site, some regional conifers to consider include: Picea sitchensis (Sitka spruce), Abies grandis (grand fir), Tsuga heterophylla (western hemlock) and Pseudotsuga menziesii (Douglas fir). These trees have the additional benefit of providing seed from their cones to many overwintering birds. You may not have room in your landscape to plant a large tree. In that case, “borrow” large evergreen trees from neighbors’ landscapes and/or include smaller evergreens that will fit your space. Gen: What challenges do birds face through the winter that are different from the challenges they face through the rest of the year? Kim: Some of the extraordinary challenges which birds face in winter are: limited sources of clean, unfrozen water, safe cover from harsh weather conditions and predators, and insufficient food sources in developed landscapes. As gardeners, we can do a lot to provide all of these resources to birds in our own landscapes. One other important point, and I say this as a doting owner of 4 cats – keep the kitties indoors. Domestic cats are devastating to bird populations. According to research from the Smithsonian Conservation Biology Institute, housecats and feral cats kill between 1.3 billion and 4.0 billion birds in America every year. Birds and cats don’t play well together! Gen: Do insects play a role in feeding birds through the winter, or are insects primarily important for feeding birds during times of the year when they are feeding young? Kim: Much insect activity is temperature dependent. In the cold days of winter, there simply won’t be much going on. However, on warmer days, some insects will be out and about, and available as food to insect-eating birds. You will often see overwintering birds pecking at the leaf litter, uncovering a tasty meal. Gen: If people would like to set up bird feeders to help with attracting birds in winter (or any time of the year) do you have any tips for making sure you are helping rather than harming your local bird population? 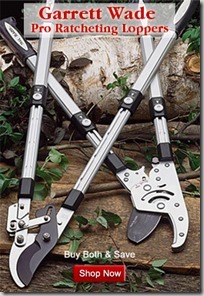 Kim: There is much controversy about the wisdom of using feeders. 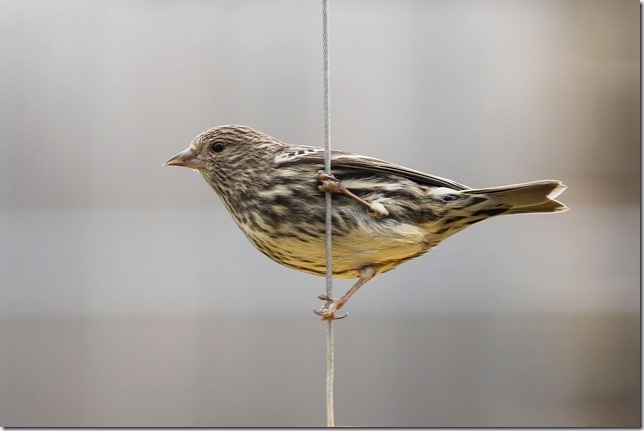 Some research indicates that bird reproduction rates go down when birds have access to feeders. The best practice of course, is to try to plant diversely so that you have four seasons of food naturally occurring in your garden. Birds have managed to survive without human intervention in healthy natural landscapes for a long time. The problem is – we keep disrupting those landscapes! 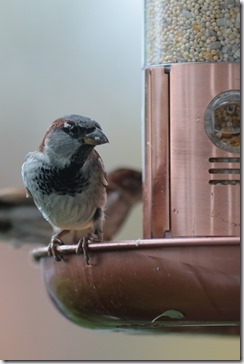 For bird lovers, it’s hard to resist using feeders. If you are going to offer supplemental food to birds – try to limit the feeding to winter and early spring, when food resources are low. If you are going to buy bird seed, buy good quality seed from a vendor which specializes in wild birds. Skip the mixes from big box stores – those “wild bird mixes” with tons of millet, corn, and other low-grade foods. 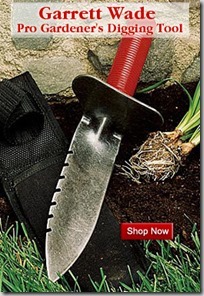 Stick with packages of a single seed type so you know what you and your wild birds are getting. There is no one size fits all food for all bird species. If you are offering black oil sunflower seed, nyjer seed, and suet, you are off to a good start. A cut orange, a generous dollop of peanut butter or some dehydrated mealworms will likely interest some birds, as well. Always keep bird feeders clean to avoid the passing of disease from bird to bird. And, invest in at least one squirrel-resistant feeder, or suspend a feeder far enough away from a squirrel launching pad to give the birds a fighting chance. Gen: What long-term things can we do to provide better habitat in future years? Kim: Your long-term strategy should be to create a robust, bio-diverse ecosystem that supports many forms of life. We live in food webs where every living thing is connected to every other living thing. Every design choice we make and every plant we select, impacts the health of our ecosystem. And, it starts all the way down on the ground with healthy soil. 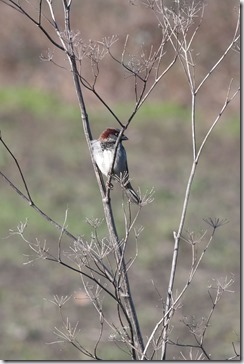 With regard to habitat, not all birds are attracted to the same layers of the landscape. Birds such as hawks prefer to be at the top of large canopy trees. Some birds, like chickadees, like to be in the midstory; other birds, such as doves, prefer understory trees and shrubs. Then there are birds that nest in the herbaceous layer, including waterfowl. 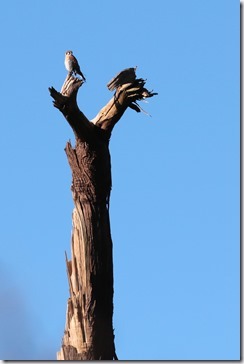 If you want to support cavity-nesting birds, like woodpeckers, it’s important to leave some standing tree snags. Just make sure that your home is not a target in the event of a tree failure. Simply cutting back a tree snag to a shorter, more tolerable height, may give you peace of mind, and a home to a cavity-nesting bird. Our natural landscapes are usually layered, but we often forget to plant that way in our home landscapes to support varied species of wildlife. Use healthy natural areas as your reference, staying true to your region and your site. Try to transition your garden design to reflect those layers – you will be rewarded with much more bird activity if you do. Thanks for the great post, Gen! 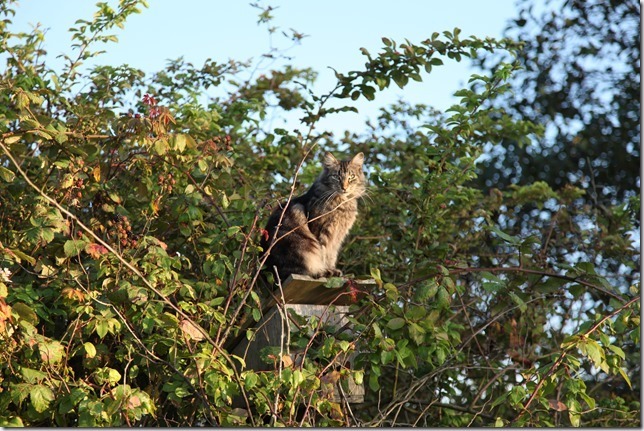 I love the photos (especially the one with the cat on sitting on the bird feeder). Even though my focus in garden design is conifers, I do like to include a variety of plants the local wildlife can appreciate. I do love having lots of critters enjoying my garden so I’ll be keeping these tips in mind when I find my new space. Yeah, as that said, when I tried to attract birds to my garden, I thought of setting out some bird feeders and I know that’s not enough as I lose many of my natural lands to development and migrating birds. Anyway, thanks for the great post, Gen!